Basically, it is a contrived (yet incredibly successful) product conceived as an instantaneous Christmas tradition-in-a-box. Elf on a Shelf is a book about a magical elf who watches little children before Christmas to see if they have been ‘Naughty or Nice’. 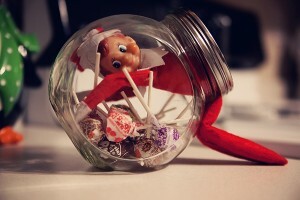 It comes packaged with a toy elf that needs to find a different perch for 24 days leading up to Christmas. The story and the elf are intended for children, but the fun is how completely immersed adults and children become in the daily activities of the elf. There’s something a little bit creepy about a stuffed toy that sits around the house like Big Brother reporting back to Santa. But it’s amazing what these little fellas will get up to when nobody’s looking…From snowball fights, to joy rides, binge eating and premature present opening, the Elf is just as naughty as some of the kids it watches over. 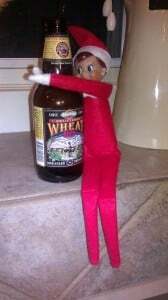 The creators of this phenomenon must be aware of the outlandish situations their elves get into because Elf on a Shelf’s official website has a page called ‘Manage your Elf’. It seems quite clear that the elves out there are living dangerously and getting up to mischief the minute your back is turned. Let’s be honest here. 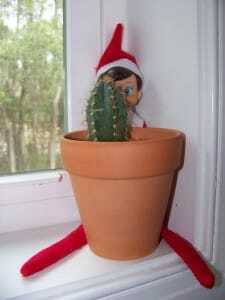 After the first few nights, Elf on a Shelf starts behaving like a house guest who has overstayed his or her welcome. The elf begins to invade your personal space, not to mention taking liberties with your belongings. It’s no wonder that many elf owners out there have started rising up in protest and taking revenge on the goody-two-shoes little critters as pay back for tattling to Santa. The huge popularity bestowed on the elves has obviously gone to their heads. You can’t really blame them, what with elf coloring books, elf craft activities and to top it all off, being invited to the Macy’s parade! 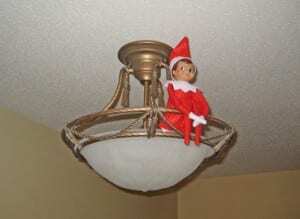 Some creative elf owners have thought up unique ways to take these little creatures down a peg. 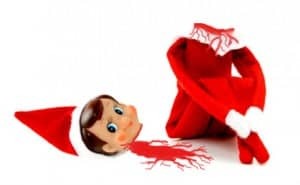 Hmm…after all is said and done, adding Elf in a Shelf to your Holiday traditions could be rather fun after all. Merry Christmas. Send us your pictures of a naughty Elf on the Shelf. 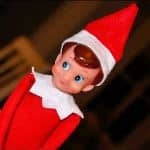 Email marketing@thisblogrules.com with your Elf of the Shelf photo. 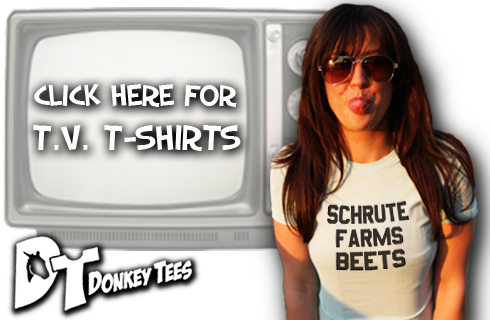 Select photos will be selected for a follow up post, and addition to our Facebook page.